follow site Bat guano is a powerful, all-natural fertilizer that can be used for vigorous growth and prolific flower and fruit development. Bat guano is also a versatile fertilizer; you can mix it into the soil, side dress, or steep it to make a potent foliar tea. 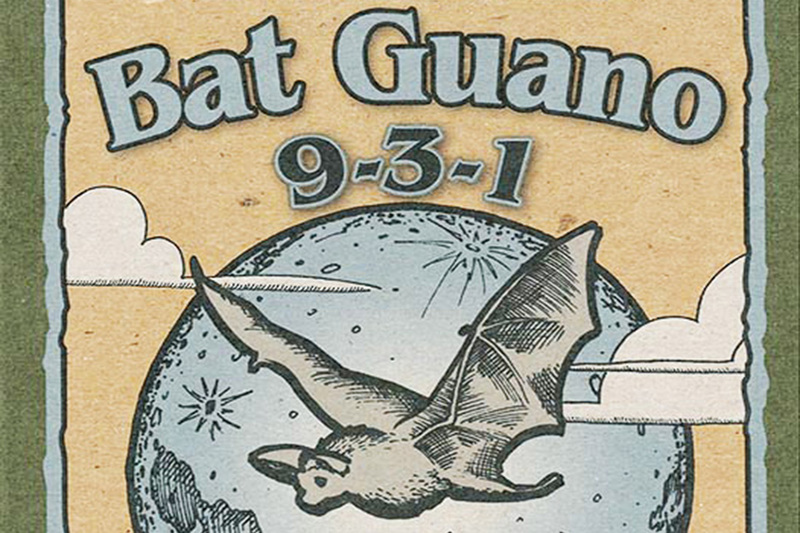 Down To Earth carries two different kinds of bat guano: high nitrogen (9-3-1) and high phosphorus (0-7-0). accutane for sale There are some concerns associated with collecting bat guano, especially due to the fact that bats are sensitive to disturbance, especially while hibernating. The company from which we source our dove comprare Viagra generico 50 mg a Parma high nitrogen Bat Guano 9-3-1 from collects bat droppings from wild bats in caves in Indonesia. These bats aren’t as fragile due to their location close to the equator. This location gives them a year round source of food to sustain them, so they do not have to hibernate or migrate to find food. The guano is collected at night while the bats are out of the caves feeding. The caves are managed to provide sustainable output- some caves produce enough guano to collect weekly, others monthly, and still others at longer intervals. In populated areas, the bat colonies that they collect from are guarded against vandalism. In more remote villages, they train people how to protect and care for the caves and as a result of protecting the roosts, the bat population (and the guano production) increases every year. levitra generico prezzo più basso Our source link high phosphorus Bat Guano 0-7-0 is not raw guano from active caves, but rather mined from mineralized ancient deposits from caves that were previously filled up and abandoned, therefore not disturbing any bats. It is also collected in Indonesia.